In August 2016, a Fortune 500 retailer contacted Falconer Electronics, Inc (FEI) to tackle a time-sensitive commercial power strip project. 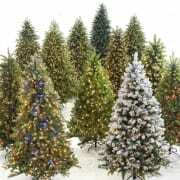 This major retailer, with over $60 billion in annual revenues, needed 1400 metal fabricated outlet strips for a Christmas Tree display. The outlet strips had a delivery deadline of October 2016. Obtaining ETL certification was also a requirement. Being a new customer and a new product, it was imperative that FEI exceeded expectations. Long-term customers value that FEI takes great pride in doing the job right the first time and every time. The seasoned staff at FEI loves a challenge and welcomes the opportunity to solve difficult problems for customers. In this case, to achieve a safety certification there was a need to develop a prototype, along with getting approval, and qualification. Once that process was complete, the production still had to happen in time. Especially with the beginning of the important Christmas shopping season quickly approaching. The team at Falconer Electronics rose to the occasion. The ETL certification was obtained, the product was produced, and the final product was delivered meeting the extremely tight deadline. Millions of Americans viewed the beautifully lighted Christmas Tree displays throughout the entire country. Every display was powered by commercial outlet strips that were proudly made in America at Falconer Electronics, Inc. This is a perfect case where timeliness and quality played a crucial role. Offshoring this project to overseas manufacturers with cheap labor was simply not an option. With just a matter of weeks available to develop the prototype, obtain the ETL certification and manufacture the final product, partnering with a trusted manufacturer was essential. Communication, developing a superior product as well as timeliness were the top concerns for this major retailer. They needed a manufacturer with the reputation and resources to deliver a quality product that met the tight timeline. FEI has the knowledge, staff and resources available to navigate a customer through the rigorous certification process. Since achieving the Intertek ETL certification is a symbol of superior quality and high standards. Also, the ETL certification grants tremendous peace of mind for large retailers. FEI customers take great comfort knowing product displays are powered by safe and compliant commercial outlet strips. 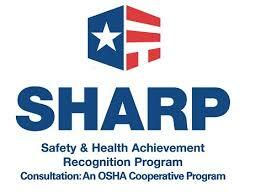 Minimizing risk and ensuring a safe work environment is the result. FEI President Roger Hall explains, “Our goal is to remove the stress for our customers. Especially with obtaining a safety certification such as ETL. Furthermore, this allows our customers to focus on the many other challenges that they confront on a daily basis”.